York County is sending a choir to Carnegie Hall. More specifically, a choir of 40 high school students from all over the county. © 2011 by The York Dispatch. 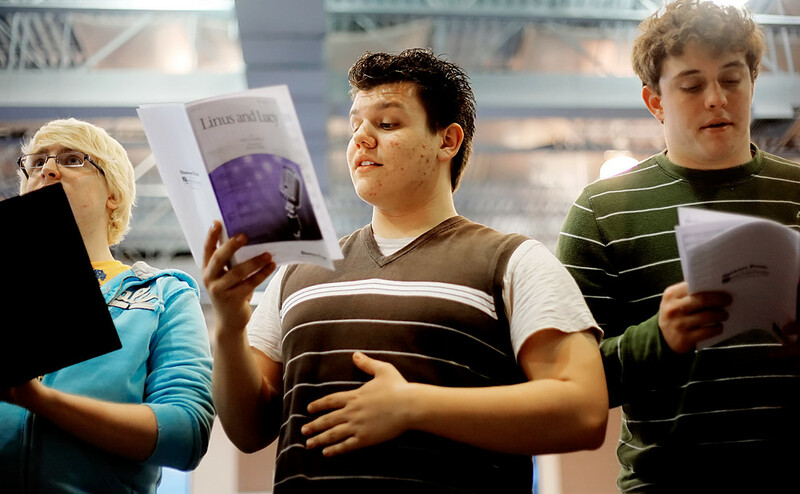 Spring Grove High School senior Nick Moran, West York High School junior Bradlee Gorrera and South Western High School senior Woody Stetter sing in the tenor section of the Concorde Vocal Ensemble during a rehearsal on Sunday, Jan. 30, 2011, at Zion United Methodist Church. Consisting of 43 high school singers selected from the York County Senior Honors Choir, the Concorde Vocal Ensemble will send 40 of its singers to Carnegie Hall to perform Hector Berlioz's "Requiem" alongside another high school choir, the Atlanta Symphony Chorus and the Orchestra of St. Luke's, in the Carnegie Hall National High School Choral Festival on Feb. 13, 2011. For this assignment, I also shot and edited a short video piece. It was a little tricky. I had only one camera, but while editing, I didn’t want to overlay footage of the students as they sang “Requiem” by Berlioz — since their mouths wouldn’t match the music — in the name of visual variety. I also felt like scum because, to edit interviews into this video, I had to chop up a beautiful Latin requiem. All in a day’s work, I guess.